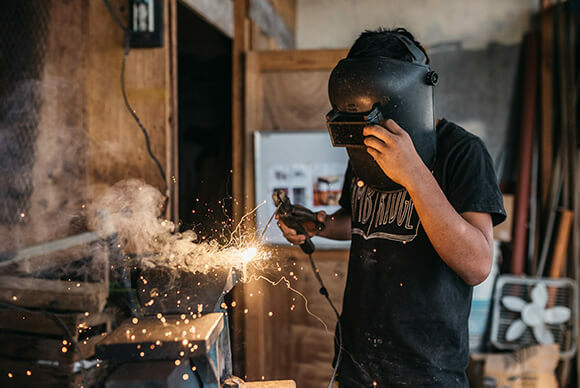 TEACHING TECHNICAL SKILLS AND INVESTING IN THE LOCAL ECONOMY IS CENTRAL TO THE AMIGOS MISSION. A THRIVING LOCAL ECONOMY MEANS A THRIVING SANTA CRUZ. CECAP was born out of a conversation in Santa Cruz back in 2006 about how best to grow the local economy. The few jobs available were low-paying manual labor, and women had next to no prospect of earning an income outside the home. The community wanted a center to provide pathways out of this poverty cycle. In 2010 CECAP opened its doors to provide just that. Today, CECAP trains over 400 students each year in trades including culinary arts, carpentry, weaving, and many more. 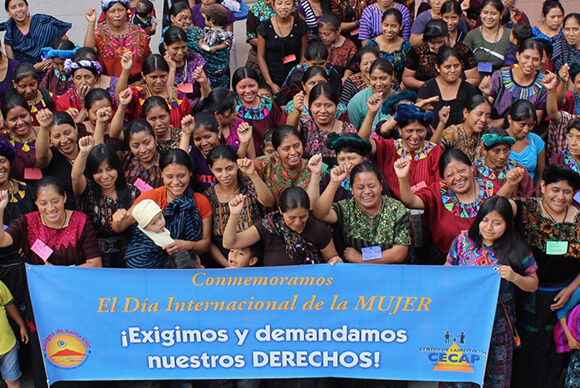 Graduates work all around Lake Atitlán and in the two social enterprise businesses located in the CECAP building. The CECAP building is also home to the Amigos program offices and a central space for community meetings. We’re constantly tailoring CECAP programs to ensure our graduates have the best chance to gain employment and start their own business. 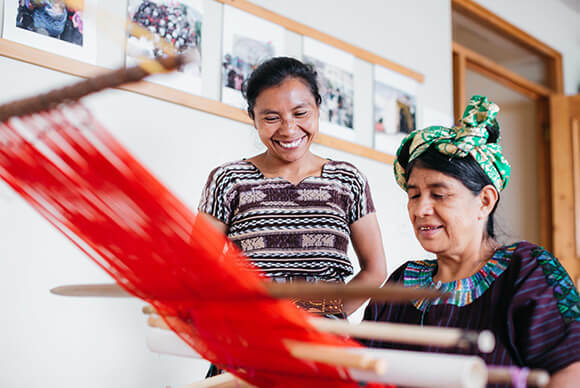 For over 15 years Amigos has worked to support local women to redefine traditional gender roles and to create their own opportunities in the most remote communities of Santa Cruz. For women who have never attended school and do not speak Spanish, the ability to earn an income on their own for the first time is life-changing. Our holistic approach empowers women both inside and outside the home through integrated programming on nutrition, domestic violence, and political participation, in addition to small business development. Our staff collaborates with indigenous women to identify business opportunities, train the women, and provide long-term technical assistance. Investing in women has a multiplying effect that results in greater reinvestment in the home and the local economy. 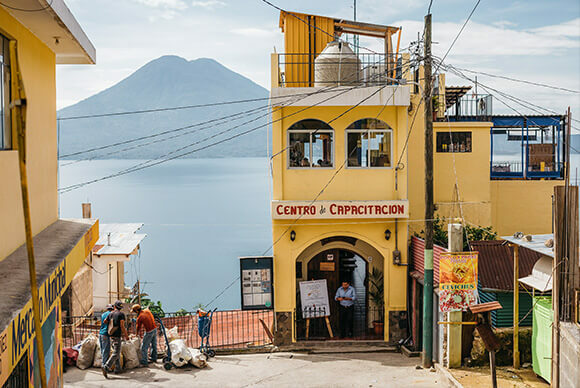 Run by the young graduates of the CECAP Culinary Program, Café Sabor Cruceño is located on the rooftop terrace of the CECAP building in Santa Cruz which overlooks beautiful Lake Atitlan. The restaurant is a nonprofit social enterprise business supported by Amigos to provide practical training for the students and graduates of the CECAP Culinary Program, as well as to spur local economic development by attracting tourists to Santa Cruz village. 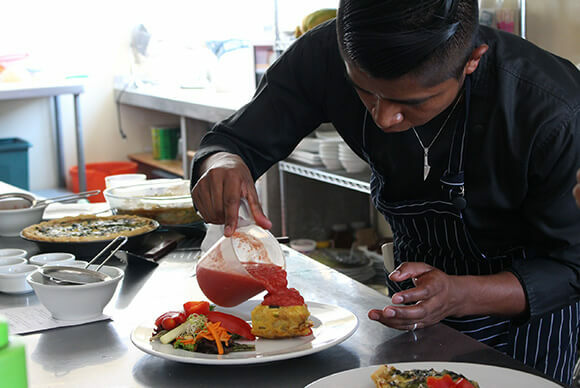 Café Sabor Cruceño now employs 12 young chefs from Santa Cruz learning practical skills that help launch their culinary careers, such as running a bustling restaurant, teaching visitor cooking classes, and catering weddings. Visitors to the café can decide which among our traditional Guatemalan dishes and western favorites pair best with the stunning view of Lake Atitlán. 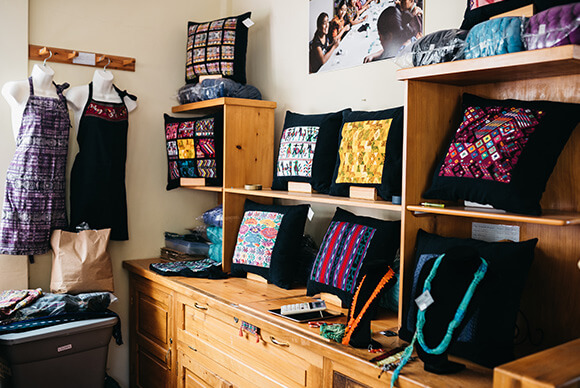 Featuring textile and jewelry made by graduates of CECAP’s sewing, beading, and weaving courses, Manos Cruceñas Artisan Store provides work to over 90 female artisans in Santa Cruz. Economic opportunities outside the home are scarce for women in Santa Cruz and those available, are often low-paying. Working for Manos Cruceñas provides women with a fair living wage, combined with the flexibility to work in the home and take care of their children. Amigos also provides artisans with non-economic support, such as nutrition and empowerment workshops to help them build health households. 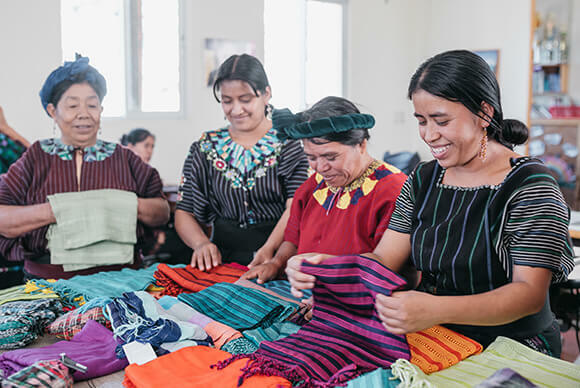 Now with an online store and wholesale clients across North America, Manos Cruceñas is a stable source of income for many artisans in Santa Cruz, including women who are making an income of their own for the first time.